The online education industry will rake in 107 billion in 2015. And with the sale of Lynda.com to LinkedIn for $1.5 billion, the commercial sector is leading and pulling away from traditional institutions in the “just in time” education market. People want online courses, and they’ll clearly pay for them. And if great content marketing is giving away information worth paying for, then it seems smart to offer online courses as an audience-building and lead generation strategy. Robert Bruce: You ever notice that famous writers, famous actors, they all seem to have an FBI file? Brian Clark: That’s weird. Over the weekend while I was contemplating whether or not Ringo Starr should be in the Rock and Roll Hall of Fame as a solo artist, well, he’s in. He’s also going to be the last living Beatle. Ringo, of course, is leading a charmed life. Not to denigrate him, but he’s the ‘lessest’ Beatle, I guess. Somehow I end up on John Lennon’s Wikipedia page and was reading up on how Nixon tried to deport him, and he had this FBI file forever. It wasn’t until Clinton that they finally declassified it, and it said nothing. Robert Bruce: They got nothing on him. Brian Clark: They had nothing on him. Robert Bruce: Yeah. I found a similar one for Charles Bukowski, and then it took me down the rabbit trail. Anyway, do you think you have an FBI file at this point? Brian Clark: Yeah, but it has nothing to do with being famous. More like actual criminal activity, I’m sure. Robert Bruce: Right, right. Well, now we don’t need them because the NSA just records everything anyway. Robert Bruce: It’s the next generation. Brian Clark: I don’t even know why we record these things. Let’s just talk, and hey guys, could you send us that file for Thursday? That’s a good idea. Robert Bruce: All right, we’re continuing to talk about online courses, and how they can and do accelerate, you were saying, just about every business model. Let’s start with a big, fat number, which is $107 billion in sales related to online courses just this year. Brian Clark: Yeah. Speaking of business models, a lot of people, I think, would love to be in that business, the online course/membership site business. As we’ve discussed in the past, recent activity has pretty much legitimized this beyond any sort of accredited institution type thing. In fact, it’s those institutions that are having the most trouble. They’re outrageously expensive and generally behind the times as far as cutting-edge goes, so that’s a whole different issue. It’s a staggering amount of money — $107 billion related to the sale of online education in 2015 alone. Now, in 2007, when we launched Teaching Sells — which is basically the intersection of instructional design and direct marketing, basically how to create online courses and sell them — the amount of time I had to spend persuading people that people would actually pay for online education is humorous now. But it was a different time. I was talking to bloggers. Everything is free. Everything is ad-supported. Everything that we predicted back in 2007 has happened in spades. It’s a big deal. You see guys like Chris Brogan, and David Siteman Garland — they’re effectively orienting their entire careers around online courses at this point, because it’s a big deal. We talked about lynda.com last week. Robert Bruce: That’s $1.5 billion alone there, right? Brian Clark: Well, that was the acquisition by LinkedIn, but like I said, I think lynda.com is not Harvard or even University of Phoenix. It is a commercial site that had the cutting edge in the technology topics and design and coding and all that kind of stuff. There’s no normal institution that could possibly compete with them. The other interesting thing about lynda.com is that — even though Lynda and her husband at the beginning did, in fact, create training content in the form of, what was it, technical textbooks and manuals and stuff like that — it wasn’t until they adopted our favorite model, the impresario model, that lynda.com took off. Brian Clark: Well, yeah. You can, actually. Maybe not to that scale, but if you’re trying to make a great living, you don’t have to get that big. There are a couple of venture capital education sites that I’ve seen. Education is the big thing. Effectively, commercial sites are going to — in some respects — replace other traditional institutions of learning because it’s more effective, it’s more affordable. It’s everything. But, all of these sites are not the experts. What they are, are delivering the platform for experts. Again, you can do the same thing with your own Rainmaker site, if you will, of aggregating the talents and expertise of others. You’re the one that knows how to do that stuff. They don’t, but they know their stuff in whatever the subject matter is. The dean of Harvard is not teaching all the classes. Robert Bruce: Yeah. That’s a perfect way to look at it. What about this idea? We’re hearing a lot about the idea of online courses as content marketing, using online courses for lead generation. It’s very popular to talk about right now. But again, this is something that was addressed quite a while ago, in fact. Brian Clark: Yeah. I’m very pleased to see that it’s catching on with other people. I know I saw Derek Halpern talking about online courses as lead-gen. Chris Brogan was sharing that some of his students were all for creating a course, but they couldn’t figure out how to build an email list to sell it. The answer is the same. If you think about how a blog is viewed, or a free ebook with an opt-in is viewed these days, it’s not regarded as valuable. Yet, with the explosion in paid, online education, free online courses are perceived as valuable. It goes right back to what we’re talking about, about the logged-in experience and all the benefits you get with marketing automation and whatnot at that point. The reality is, you’re creating a valued experience, as opposed to something where people are like, “Yeah, this kind of dicey,” or “I’m going to download this ebook, and then I’m going to unsubscribe.” To top it all off, they never even read the ebook because it’s just sitting somewhere on a hard drive. The world has shifted in that way. Brian Clark: If the market values online education to the tune of $107 billion in 2015 alone, what do you think you should be using as an enticement to get people into your audience in the first place? Now, I know you remember the first time we used an online course that way. That was in 2012. What was that course? Robert Bruce: It was called — you and I put it together — How to Profit from the Digital Revolution. It’s funny, because in those days, we talked about specifically what you just mentioned: ebooks and apps and the idea of getting that opt-in and stepping it up with a course. What we did, it was a free course. There were three parts to it, basically introducing and expanding on the idea of selling digital products, selling products online. That’s all it was. It was three seminars that you and I did and packaged up. We had a really nice landing page. But the whole point there was to introduce this idea is this thing itself was lead-gen, moving toward our product at the time, which was Premise. Brian Clark: Yeah. Which was an earlier version of the membership and landing page capabilities that are much more superior than Rainmaker because it’s a hosted solution, as opposed to a plugin. That’s the problem with WordPress plugins. You have to make sacrifices for every configuration and install out there. Of course, when you host it yourself, you’re able to control it and deliver a better experience, such as the new learning management system that we have. I think some people see using online courses this way, as lead generation or as content marketing, as a new thing. It’s not really new, but it works, and we’re still using it to this day. That’s a good indication of how powerful it is. Robert Bruce: Yeah, so we did that, the How to Profit from the Digital Revolution course in 2012, but you did this an entire decade earlier in more traditional business. Same concept, though. What happened there? Tell us that story. Brian Clark: Yeah. I think sometimes people look at things we do and they’re like, “Yeah, that’s fine for some software or whatever,” and I’m like, “No, man.” I was doing this in 2002 when I started a real-estate brokerage. I’ve often talked about what I had learned effectively in the 4 years of failure and then discovering what I was actually doing, which we now call content marketing. When I looked around, I said, “Okay, I want to do this, but I don’t want to do it in the field of law.” I looked at real estate. I saw what was happening with the MLS coming online. I looked at the way realtors were marketing, and I’m like, “Oh, this isn’t even fair.” They didn’t know how to use landing pages. They weren’t using email at all. But I took it up to the next level, based on what I knew about content, and built this site that was effectively the Wine Library of real estate. It was designed to educate people to the point of comfort, to where they decided that my company was the best one to call. I would try to segment my people. Stuff we talk about people should be doing now as the best practice, I was doing back then. You basically had first-time home buyers and relocation people. Those were my two big segments. I created courses that were dripped out by simple auto-responders at the time. I certainly didn’t have the technology we have now. Effectively, it was the same thing, and when you look at 2002 and how much value I was delivering compared to the RE/MAX agent with the Glamour Shot, it wasn’t fair. But, that’s how I was able to build. I got advice from people when I told them I was getting my license and going to start a company. They were like, “It’s gonna take you four years, and you’re gonna starve, and this and that.” I’m like, “No, I think it’s going to take 30 days,” and that’s what it took. Brian Clark: The relocation course dripped out over a year, because my research showed that someone starts doing online research for homes before a relocation up to a year in advance. I knew that was my sales cycle. With first-time home buyers, it was quicker. They would usually decide to work with me, and my company within 30 days. You have to understand whom you’re talking to. That is what I was using. It’s effectively the same technique we advocate today, yet you don’t see that many people doing it. Robert Bruce: Real quick. As in the Premise course, in the Profiting from the Digital Revolution course, you and I did three intensive webinars on selling digital products online. What’s an example for the first-time buyer? Do you remember what you did in terms of offering them for lead-gen in that package? Brian Clark: Well yeah, it was educating them. The most prevalent initial question is, “Can I get a loan? How does that happen? What kind of loan should I get?” Then I touched on issues about negotiation, inspections, and all of this stuff that’s kind of scary to someone’s who’s never done it before. Frankly, no matter how many homes you buy, it’s a big pain. It was basically just getting people to feel more comfortable with the process, but also being the person who delivered that information. You know. We’ve been talking about being the authority that creates, yet it was so funny how resistant people were to sharing basic information, especially in a licensed industry. Robert Bruce: We started in 2012, we jumped back to 2002, now let’s jump ahead one more time to 2014 and the New Rainmaker free course. Brian Clark: You’ve come in almost shaking your head several times. You thought I was insane to launch, effectively the future of the company, with essentially a podcast that morphed into an online course. Robert Bruce: And a brand new podcast, no less. Brian Clark: Yeah, but it worked. Robert Bruce: Yep, and we wrapped up the first seven episodes. You ended up doing a couple of webinars on top of it that became the entire free course that led everyone eventually to the Rainmaker Platform. Brian Clark: I think that the next question that’s going to come up, obviously — we’ve got a lot of content creators out in the audience. They’re like, “Okay. I know how to do this.” Other people are like, “I’m not necessarily a content creator,” or “What do I use? What’s the proper educational materials?” It’s the thing that people are looking for before they decide to buy, to put it at its most simple terms. When we switched away from the Internet Marketing for Smart People newsletter, the opt-in concept, and in 2013 switched to MyCopyblogger, that was a huge job, but we didn’t create anything new. All the ebooks were updated and repurposed, reformatted — I guess is the best way to say — content that I built the blog with, right? Brian Clark: We transformed it into ebooks, made sure everything was updated and nice and beautiful. But still, there was that 20-part course. You get the enticement of all this great library of content, but it’s the course that kept them subscribed and engaged on the list. I think if we did MyCopyblogger over, and I think we’re probably are going to soon, I think we could structure that more in line with what we’ve seen work, especially with the New Rainmaker course and all that. 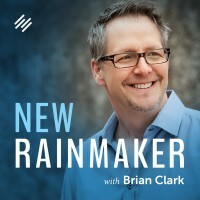 Brian Clark: The point being, if you’ve been creating content for a while, you’ve probably created the foundation, the cornerstone of what we’ve been preaching for years. If you’re not creating cornerstone content, which is the content people need in order to do business with you, then I guess you need to start. I think a lot of people out there could just look at their archives and say, “Oh, yeah. I could totally put this into a free pay-wall situation.” Drip it out using basic technology that we offer in Rainmaker. They’d have an excellent lead-generation thing. MyCopyblogger — I say this over and over and it always blows people’s mind — but a 400 percent increase in opt-ins, I don’t care how much traffic you have, that is something you want, when you can convert more of your site traffic into enduring audience by email. Robert Bruce: That’s the repurposing of content in order to build a course side of things, but if you don’t have that big archive going back, you don’t have a lot of great stuff, there’s the idea of okay, you’ve got to create some new content to build these courses that you’re thinking of. You’re going to talk about specifically the podcast method, but go back to lynda.com, that example. It’s either bringing people in, experts in to talk about things, or even just a series of simple interviews with the heavy hitters in your industry answering these questions. Brian Clark: Yeah, I think that’s probably the approach I’ll take for something like Further. Do expert interviews, and offer that as a course content with gluing it together. It’s effectively an act of curation. We’ve talked about how podcasting is curation as long as it’s in the interview format. With New Rainmaker, we started it as a podcast very deliberately, very strategically. I knew what I wanted to say. We did an episode a week, where I had, for the first time ever, scripted out what I was going to say and tried my damnedest not to sound like I was reading. That was hard. It’s hard to do. It takes work. Robert Bruce: Yeah, right. That’s what I thought. Brian Clark: I’m like, “Man, you’ve got to understand. You wish everyone listened to every word you say. It doesn’t happen. 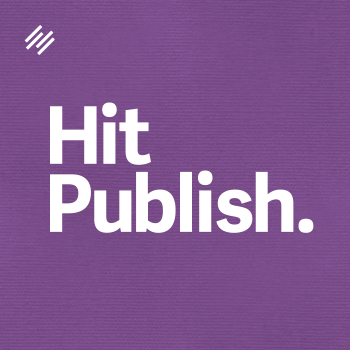 It just doesn’t.” You’re actually packaging something up into a more user-friendly format. You’re dripping it out. People understand what they’re in for. They have their expectations. You deliver consistently. All I did was take those seven episodes. We transcribed them. We cleaned everything up beautifully, and I added the three webinars. But that was also the launch mechanism for the Rainmaker Platform. Now, that course continues to work for us. I think it’s probably the best job we’ve done of explaining effective content marketing, the whole media-not-marketing thing. It continues to work and result in people taking the free trial for Rainmaker Platform, and buying. It’s an amazing thing. Yet we had to create that content new, but we created it and freely distributed it first to get it working for you in that context. Then you put it to work for you long-term. Of course, you can just sit down, from scratch, and create a course like this. I’m just trying to say you’ve probably got some existing stuff out there that you may be able to work for. Look at what I’m doing with Further. I’m effectively creating an audience by reading books and explaining them as I educate myself, right? Again, it seems to me that anyone should be able to do a similar thing. You don’t have to reinvent the wheel. You need source material. You need to acknowledge it. Do not claim something as your own if it’s not yours. It doesn’t matter. Robert, remember the early days of Copyblogger? I never said I was Joe Copywriter. I said, “Here’s what Bob Bly said,” and “here’s what Clayton Makepeace says,” and “here’s David Ogilvy, the man.” It was always pointing to my mentors in the educational sense, but who got all the benefit of that? Me! That really ticks me off because we see people doing that, even with our stuff, claiming it as their own. We don’t say anything because, whatever. It’s kind of pathetic, and people know better, and someone might call you out. Just because we don’t, doesn’t mean someone else might not. Robert Bruce: Yep. If you want to take a look at exactly what we did for this New Rainmaker course, it’s easy to do. We’re talking about signing up for the course itself and just seeing precisely step-by-step. Brian Clark: The interesting thing is it’s very educational, but it’s also a demonstration of exactly how we did it. It’s not the only way you can do it. It’s a good way. It works. Again, remember back to the real estate example. This can work in any business model in which you need to attract people and incubate them or nurture them, whatever the language may be in your lead generation world. Until they’re ready to buy, this is the way for them to grow in their confidence in order to do the transaction, but more importantly, grow their confidence in you. That’s the key. That’s why people buy from certain people over other people. Robert Bruce: If you want to check that out, head over to Rainmaker.FM. Brian Clark: No, no, no. You forgot, FreeCourse.FM. Robert Bruce: Oh, yeah, that’s right! I just wrote you this last week. Go to FreeCourse.FM, and you can sign up. It’s free registration. You’ll see the big green button there. Take the course. Learn from it, and learn from how we did it. Look at how we laid everything out and how it works. Brian Clark: But also, keep in mind that if you’re interested in courses as an actual business that you charge money for, we’ll be talking about that in quite a few future shows. Robert Bruce: Yep. All right Brian, anything else before we sign off on this one? Brian Clark: No, I think that’s what we needed to talk about for today. But, I’m excited about what we’ve got coming up. There’s just so much exciting stuff happening right now, in the world of social media, a lot in the world of paid content, in the world of content marketing. Brian Clark: It just seems like a lot of it is shaking out, and people are getting serious, and I’m so happy about that. Robert Bruce: All right. Thanks, Brian, and we’ll see you all next week. Will Rainmaker Pro let you have multiple courses – some free and some paid? Absolutely. As many as you want, either free or paid, and all with protected access so people have to register first. How could online courses accelerate (and make sense for) my business model as your podcast title suggests? Will Rainmaker Pro have ecommerce functionality? We’re adding ecommerce support in the fall. Lots of requests for it. As for a free course, you sell to retailers. So what problems do they face when operating their businesses that can you provide guidance on? What educational needs can you address that stand in between them buying from you instead of someone else? Ooooh … ecommerce support … noice … but will it handle sales tax stuff? I have a client who INSISTS that upsells are really important in the checkout area. Will that be a part of the e-commerce when it comes out? can you expand on what eCommerce support you will be providing in the Fall? Is Rainmaker compatible with other languages? Would love to have it on this Brazilian site for both paid and unpaid content. Content can be in any language, but our optimization tools are English only at this point. Also, the interface and knowledge base are in English. First, hats off and kudos for everything you’re doing. I’m really considering using the RM platform for the deployment of an important high-profile school e-learning back end. However, I have a few questions around scalability, ecommerce and back-ups. Is there someone I can do a quick pre-sale call with? ECommerce is the kicker for me. We need podcast(s) support, membership areas, forums, and the ability to sell one-off digital products (PDFs, presets and tutorial movies). Hey Frederick. Rainmaker is perfect right now for digital sales (of course, we work every day to make it even better). In the fall we’ll actually be adding physical ecommerce support, but for what you’ve told me, you’re good to go right now. Loved the knowledge you shared Brian. I was thinking about launching a free course but it seemed to be something that was so time-consuming. I’ve now realised that I can create something that doesn’t need to take ages but can still provide value. Thanks for the insight! This course looks good, can you elaborate on it?